Smart Recycling has established a proven record with a number of early adopters with the ambition to build Smart, clean and prosperous cities. Svensk Glasåtervinning (Swedish Glass Recycling) is the best in the world when it comes to recycling glass. The company recycles over 90 percent of all glass packaging in Sweden. To become (even) more efficient and sustainable/environmentally-smart the company is now investing in a new smart recycling system. The connected solution is designed by Adage, a provider of smart RFID solutions, in cooperation with Telenor Connexion. The glass recycling containers, which are located throughout Sweden, have previously either been emptied too often, with negative consequences for the environment and the economy or too often at the risk of littering and with public complaints as a result. The new Smart Recycling solution, which is a cloud-based system for measuring the volume of recyclable containers, makes it possible for entrepreneurs to abandon static collection schedules and to instead optimize the collection routes. Besides large financial savings, the solution also contributes to environmental savings in terms of reduced CO2 emissions. “We are very excited about the agreement with Svensk Glasåtervinning, which we won in a large international competition. This cooperation will not only contribute to our future development but will also allow us to adress other local and international customers”, says Anders Hermansson, CEO of Smart Recycling. 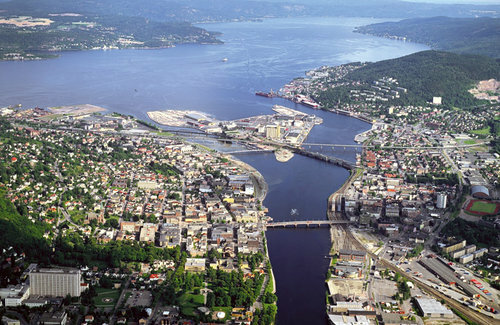 In Drammen, Norway, there are currently 65 paper, plastic & metal containers connected to Smart Recycling. Drammen is on their way to becoming a true Smart City, and maintaining a clean place to live is fundamental to the well-being of their community and citizens. Swedish nationwide service for collecting disposed packaging and newspapers have 100+ paper, plastic & metal containers connected to Smart Recycling, and waste collection vehicle personnel handheld units to keep track on the move.